Football is a major sport in South Africa. In fact, it can be regarded as a language every South African speaks and understands very well. This is why whenever you travel to any part of the country, it is quite a common thing for you to find the young and old playing the round leather ball on the streets. 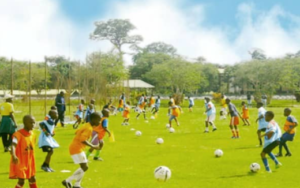 Over the years, individuals and organizations have leveraged on this passion to create academies that groom kids into football stars and some of these talents have gone on to become popular on the global stage. If you’re looking to groom your child into a football star, and you’re looking for an academy in your vicinity then you’re on the right page. In this post, we have put a list of these football academies available in South Africa and their addresses in order to help you in the process.